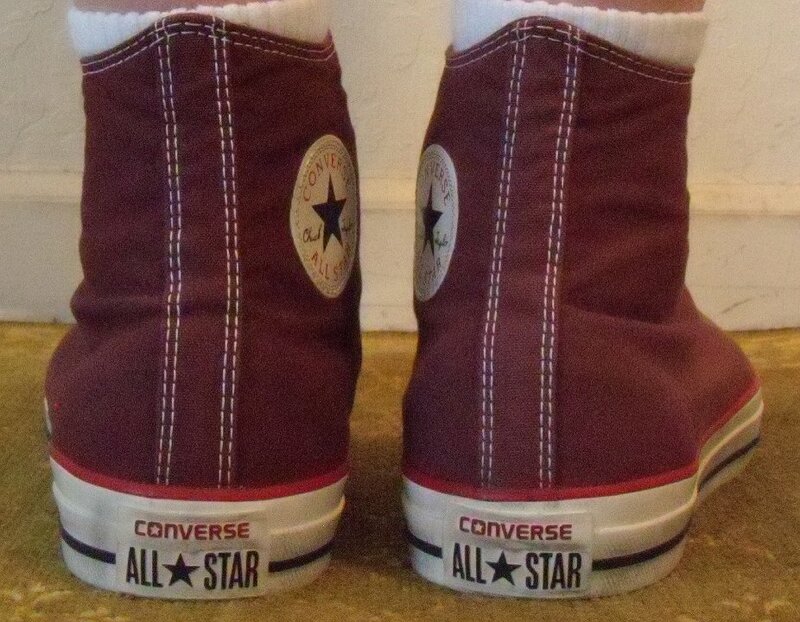 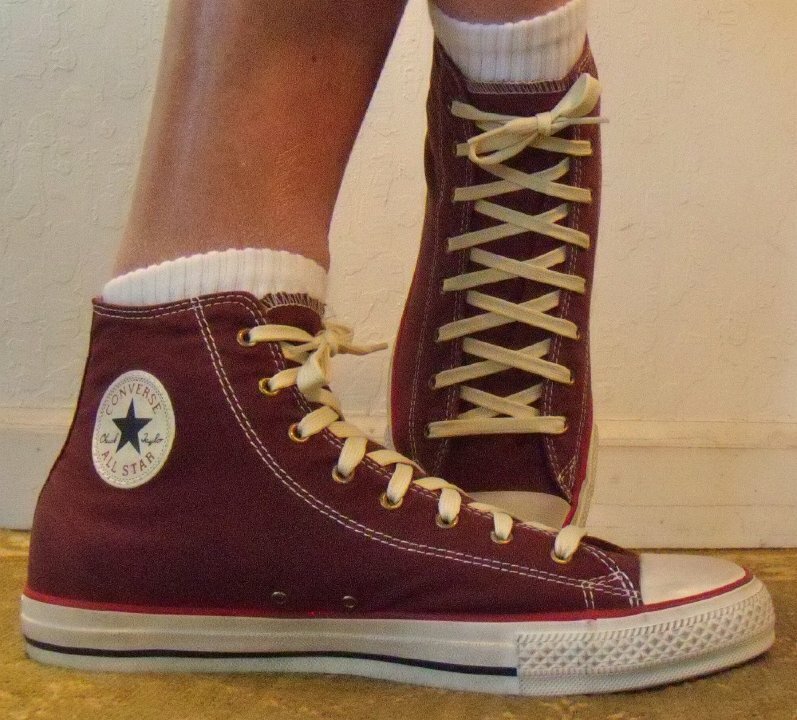 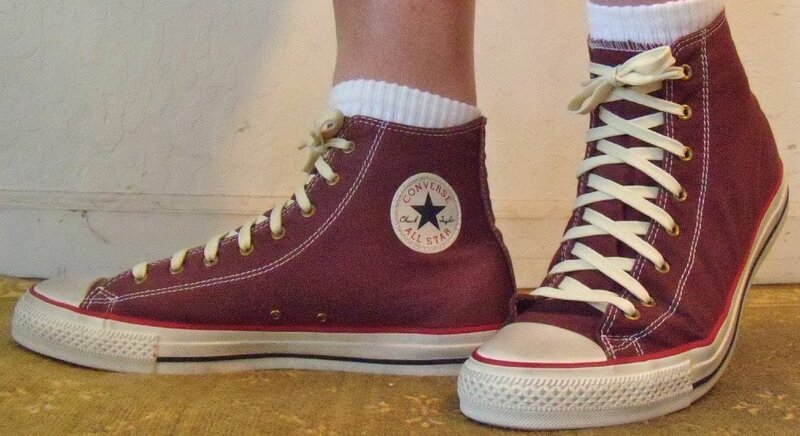 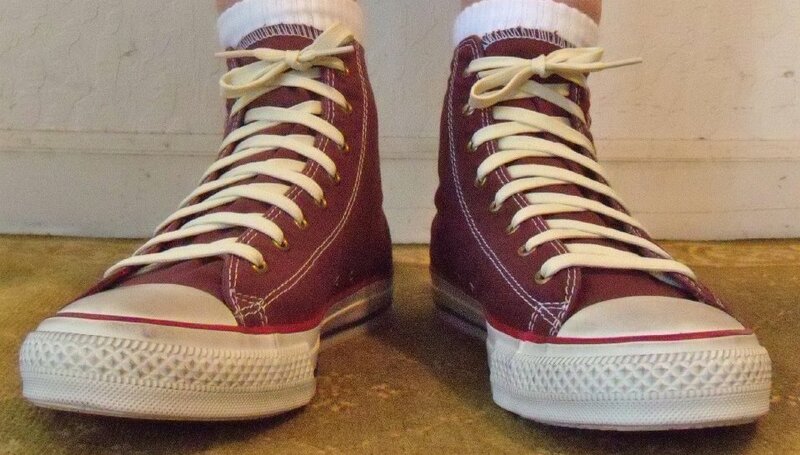 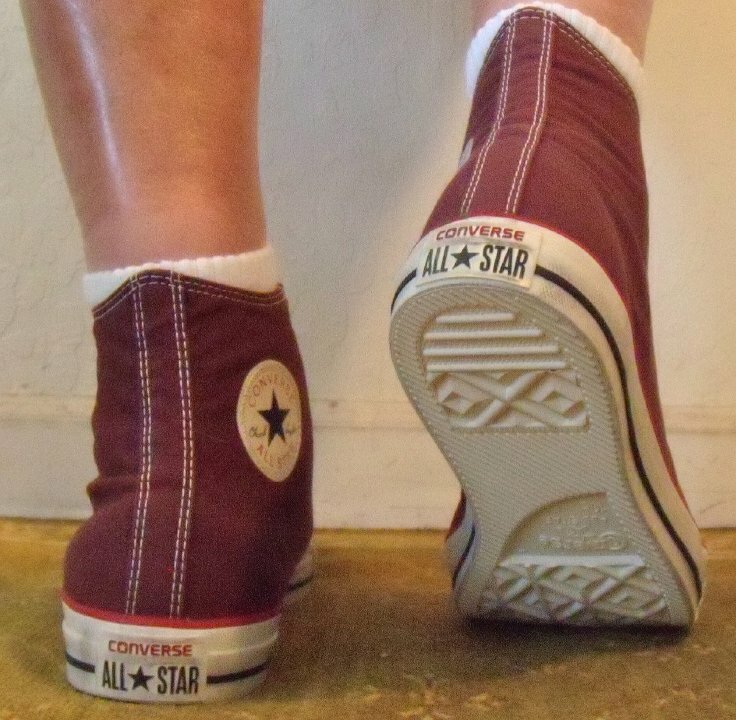 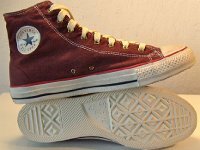 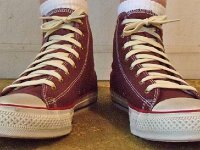 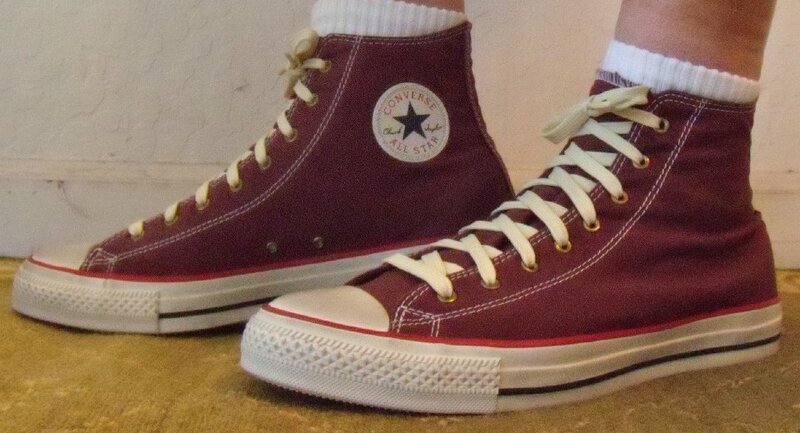 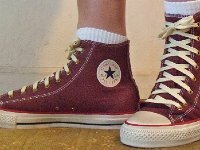 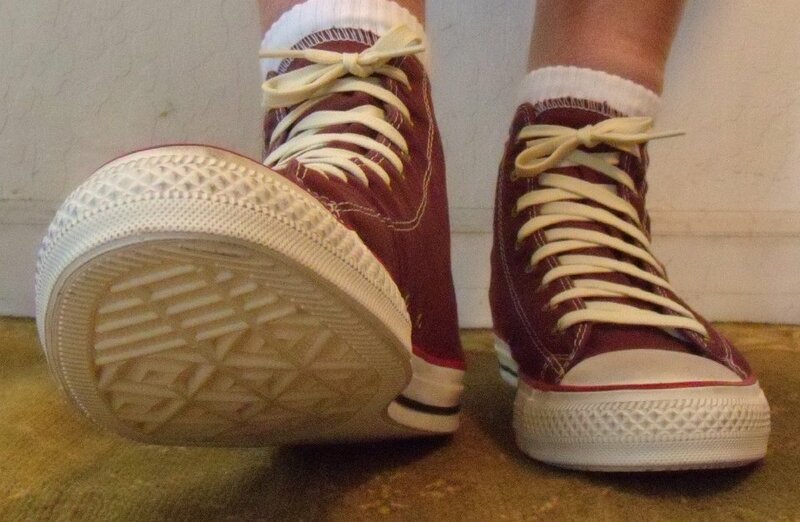 Photos of a new pair of Washed Andorra Red High Top Chuck Taylor sneakers. 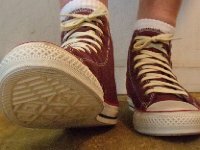 Click on the i button for more information. 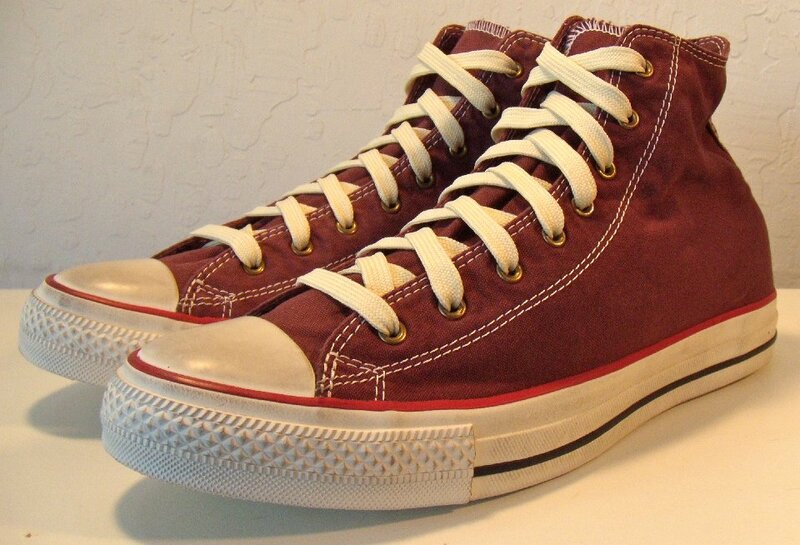 1 Washed Andorra Red High Top Chucks Inside patch view of a right washed Andorra red high top. 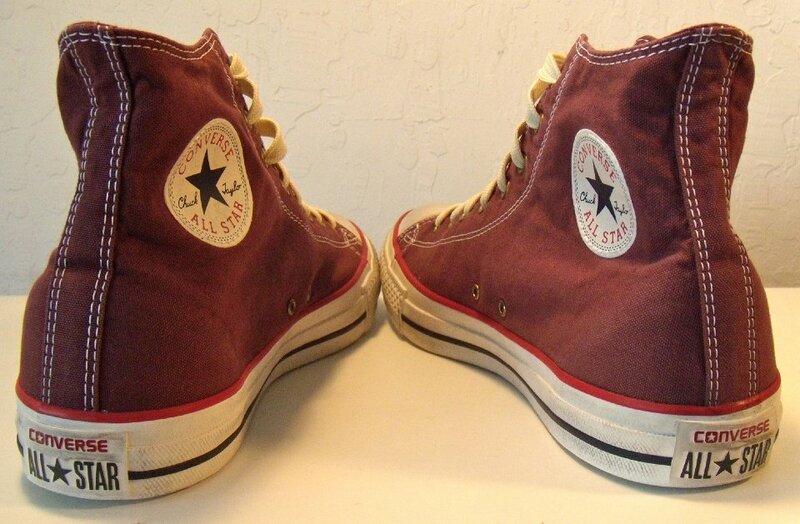 2 Washed Andorra Red High Top Chucks Outside view of a right washed Andorra red high top. 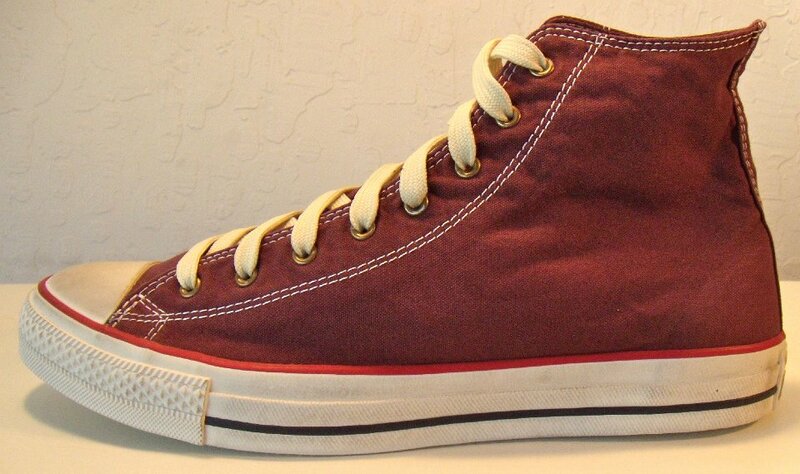 3 Washed Andorra Red High Top Chucks Inside patch view of a left washed Andorra red high top. 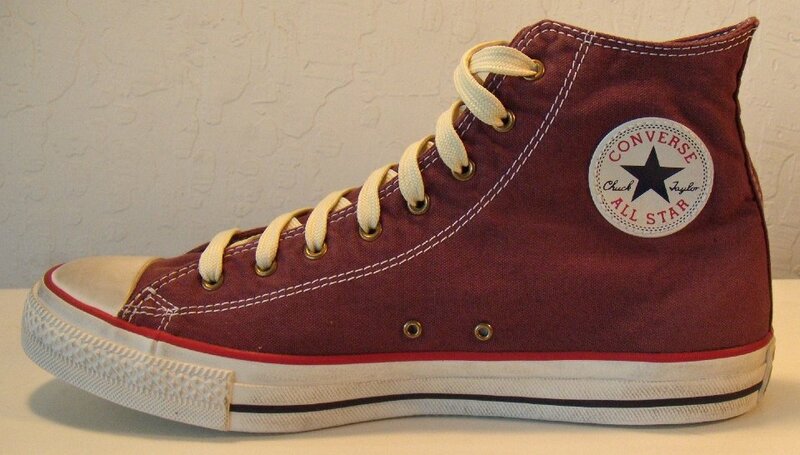 4 Washed Andorra Red High Top Chucks Outside view of a left washed Andorra red high top. 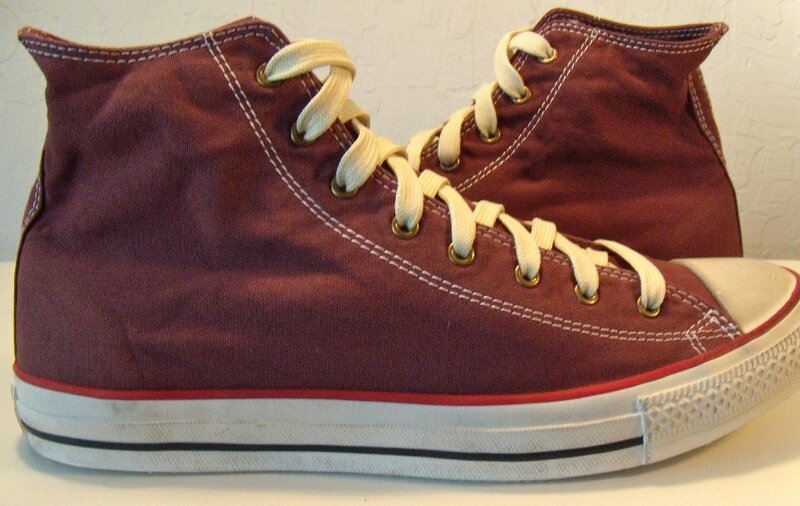 5 Washed Andorra Red High Top Chucks Rear view of washed Andorra red high top chucks. 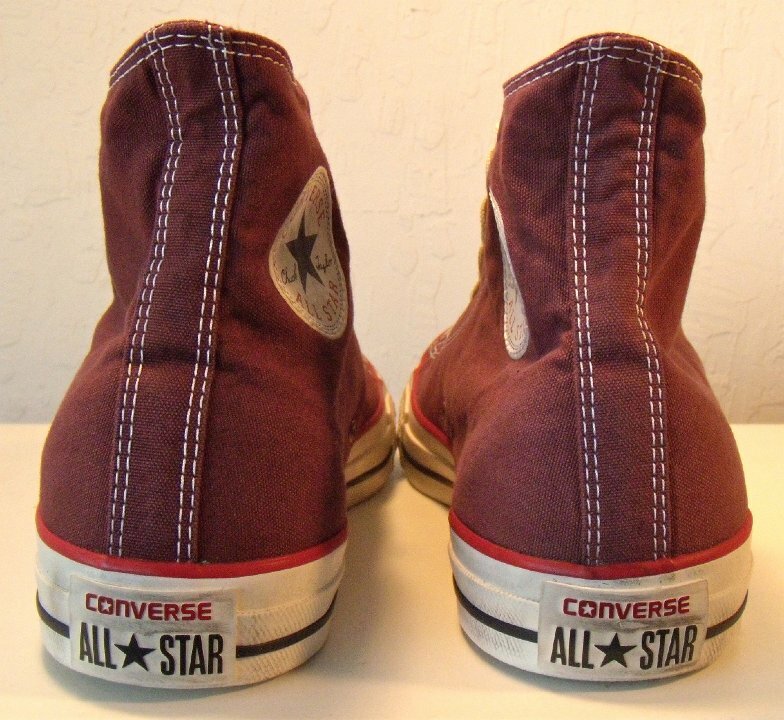 6 Washed Andorra Red High Top Chucks Angled rear view of washed Andorra red high top chucks. 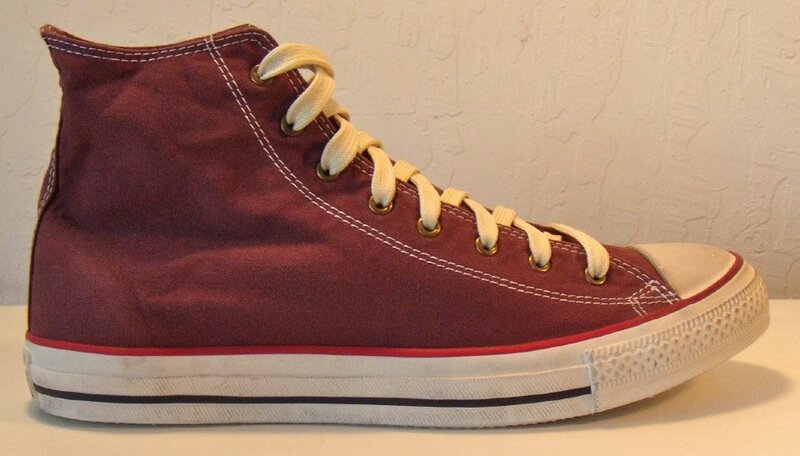 7 Washed Andorra Red High Top Chucks Angled side view of washed Andorra red high top chucks. 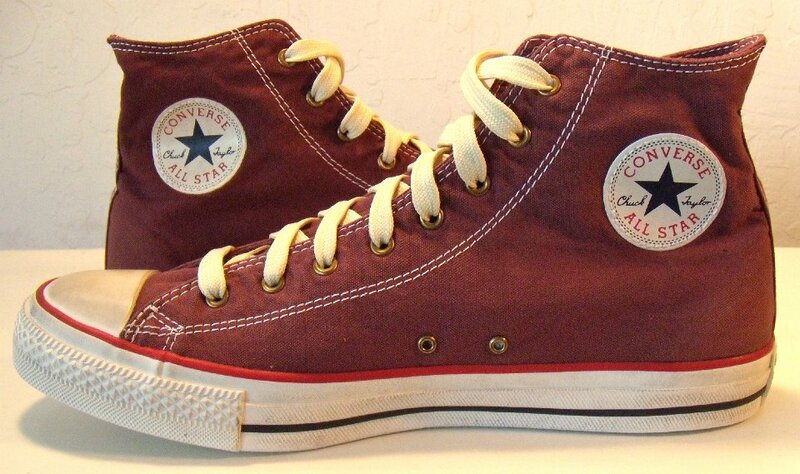 8 Washed Andorra Red High Top Chucks Front view of washed Andorra red high top chucks. 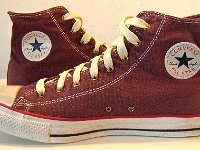 9 Washed Andorra Red High Top Chucks Top view of washed Andorra red high top chucks. 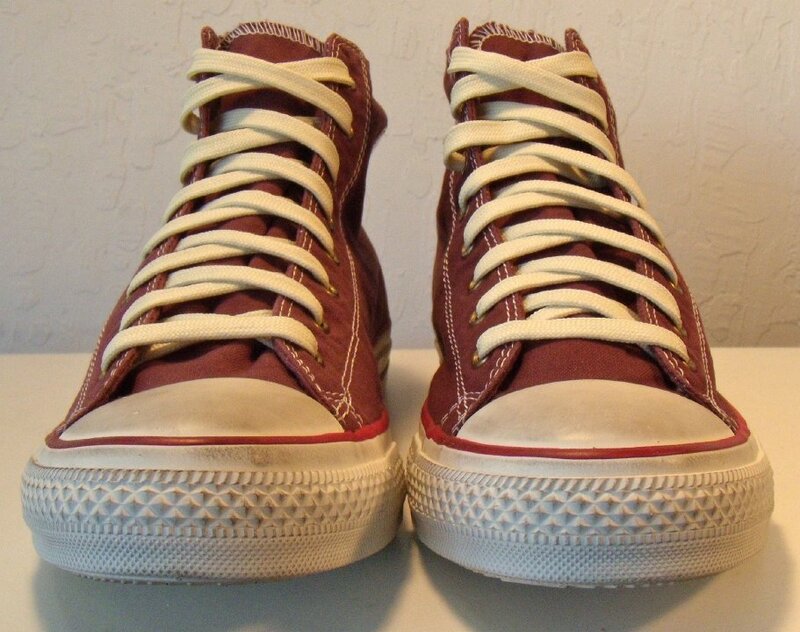 10 Washed Andorra Red High Top Chucks Inside patch views of washed Andorra red high top chucks. 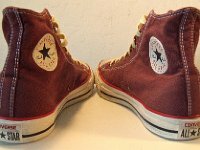 11 Washed Andorra Red High Top Chucks Outside views of washed Andorra red high top chucks. 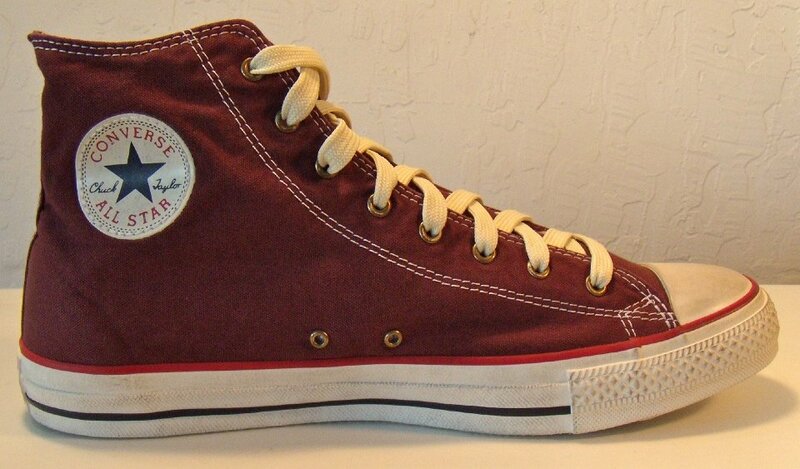 12 Washed Andorra Red High Top Chucks Inside patch and sole views of washed Andorra red high top chucks. 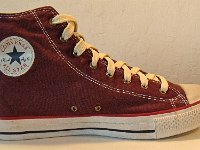 13 Washed Andorra Red High Top Chucks Insole and inner canvas view of washed Andorra red high top chucks. 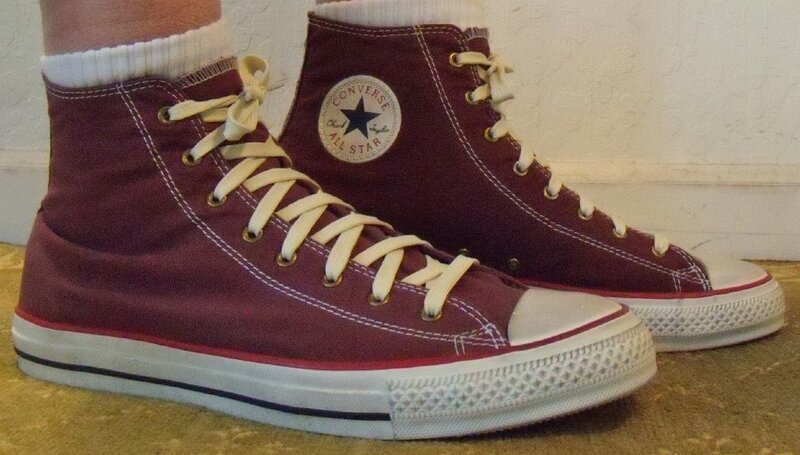 14 Washed Andorra Red High Top Chucks Wearing washed Andorra red high top chucks, front view 1. 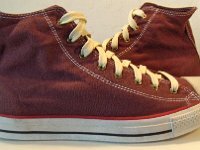 15 Washed Andorra Red High Top Chucks Wearing washed Andorra red high top chucks, front view 2. 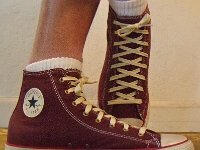 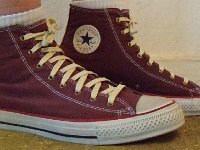 16 Washed Andorra Red High Top Chucks Wearing washed Andorra red high top chucks, left side view 1. 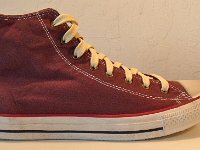 17 Washed Andorra Red High Top Chucks Wearing washed Andorra red high top chucks, left side view 2. 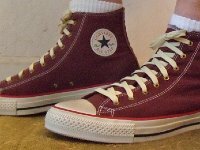 18 Washed Andorra Red High Top Chucks Wearing washed Andorra red high top chucks, rear view 1. 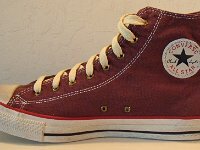 19 Washed Andorra Red High Top Chucks Wearing washed Andorra red high top chucks, rear view 2. 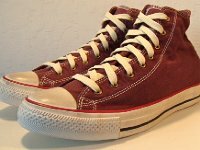 20 Washed Andorra Red High Top Chucks Wearing washed Andorra red high top chucks, right side view 1. 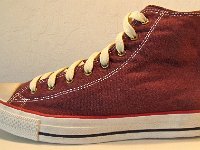 21 Washed Andorra Red High Top Chucks Wearing washed Andorra red high top chucks, right side view 2. Washed Andorra Red High Top Chuck Taylor All Stars were issued by Converse in late 2013. 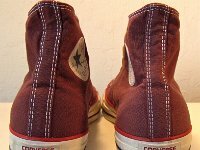 They feature a distressed or worn look. 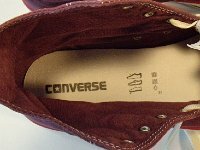 The canvas has been washed to create a slightly faded look. 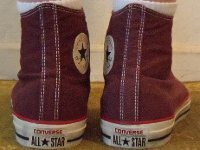 The toe cap and outer foxing have been treated to look like they have accumulated dirt (someone you could easily do on your own!). 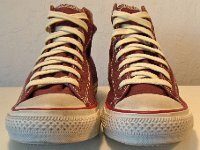 They are shown here with classic natural laces. 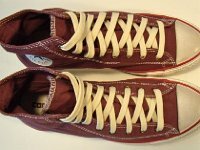 They come with a slightly narrower single layer natural lace. 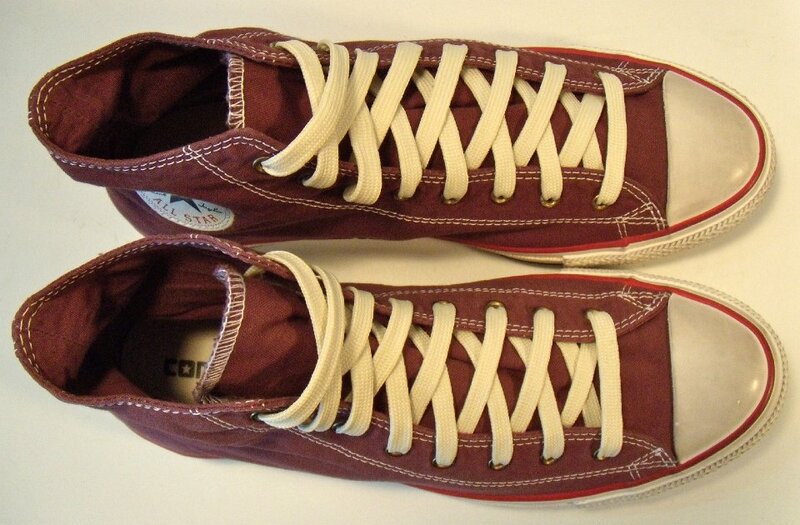 They have brass eyelets, an upper red racing stripe and a black lower stripe. 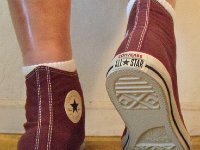 The ankle patch is a standad red, white, and blue, but is sewn on rather than glued. 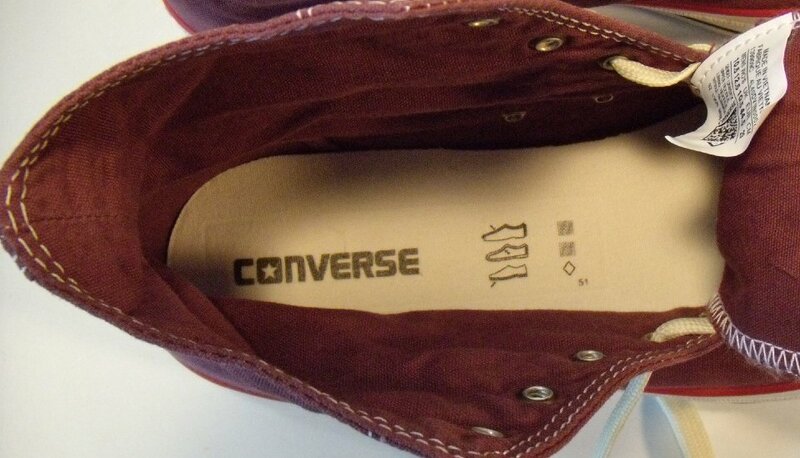 One other unusual feature is an all white outer sole.